Like many Ferrari race cars, 500 Mondial chassis No. 0408MD has had an “interesting” life, moving from owner to owner, country to country, and across continents before coming to reside in sunny California. 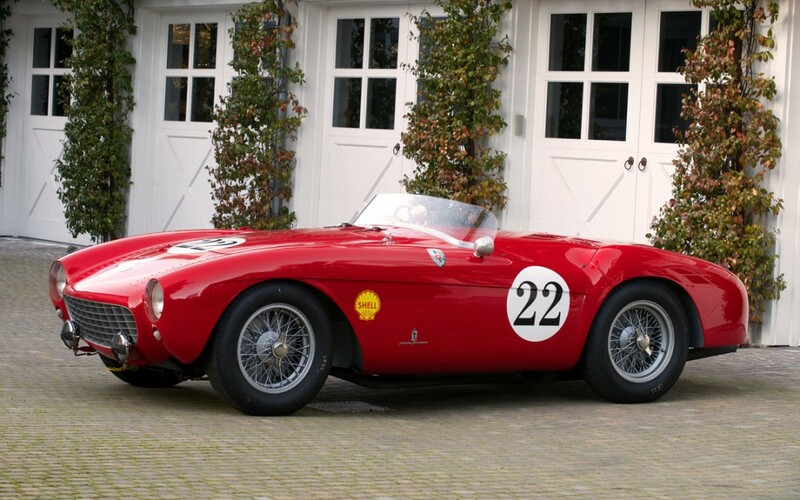 Completed in March of 1954, chassis 0408MD was one of the first 500 Mondials built. It was sold to Swedish privateer racer Valdemar Stener, who campaigned it in Scandinavia for the better part of two seasons. In 1955, he set a new Swedish speed record for cars with an engine between 1.5- and 2-liters. In 1956, it was sold to a fellow Swede who promptly took it ice racing… and won! Among the subsequent owners was another Swede, Lars Edin, who had the car fitted with a fibreglass body in the style of the Scaglietti Spyders. In this form, it continued to be campaigned through the end of the 80s. Following a succession of Swedish owners, it was eventually sold to an American residing in Germany in 1973. By the 1980s, it was in Italian ownership and following a brief spell in Belgium, it was acquired by Carlo Tonelli in 1989. He commissioned Bachelli & Villa to build a new, aluminium body that followed the lines of the Pininfarina Spyder body originally fitted. In 1997, it was acquired by noted American Bruce McCaw before sold on to a fellow American enthusiast, who has since raced it extensively in historic events on the West Coast.